(NOTE: The 10-pound box is available in-store only) Our powdered laundry detergent has a formulation that has been 25 years in the making. Our ingredients are listed completely on every box and each ingredient is biodegradable and completely soluble. Our powdered laundry detergent is very popular for a number of reasons; (1) it works as well or better than any grocery brand of detergent (2) it has no perfumes, dyes or fillers that remain in your clothes after washing, and most importantly (3) it does NOT cost more than any of the major grocery brands when you figure the Cost Per Wash! This detergent is also a low-suds formula that is perfect for the new High Efficiency / Horizontal Axis washing machines that use very little water. A 80 full wash box of Country Save just became an 160 wash box if you have a energy efficient front loading washer. You start off using a tablespoon of our detergent and see what works the best! 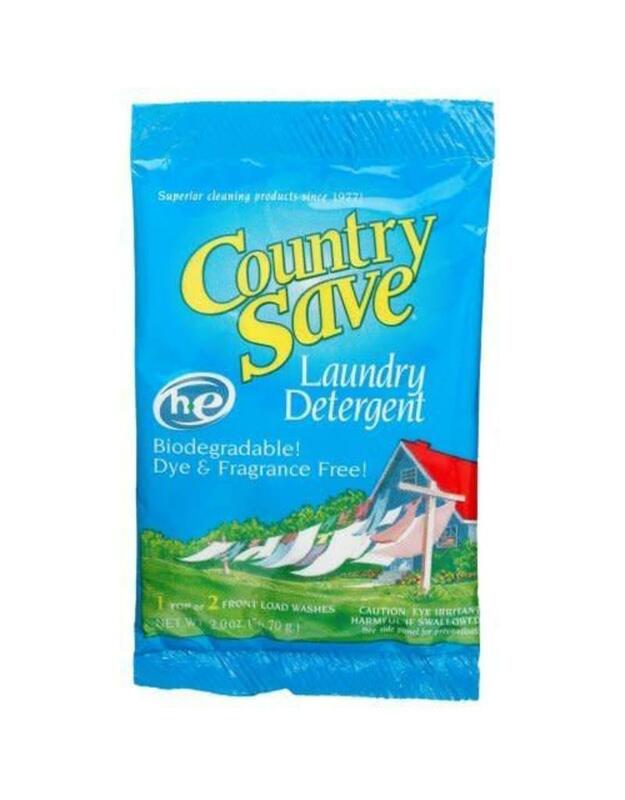 If you have babies or anyone else in the family that is at all skin sensitive, Country Save powdered detergent is a great product to use! It dissolves and rinses completely out of your clothes. No residue left behind to cause skin irritation. This is especially important for washing diapers! COLD WATER WASH…WITH HARD WATER....a phrase combination that strikes fear into the hearts of most powder manufacturers! Country Save is formulated to work perfectly in hard water that is cold or soft water that is cold. Here's the secret: Just run a quick dose of hot or warm water (no more than a quart is necessary) and throw in the Country Save! It will dissolve and work it's cleaning magic in your water and you didn't waste a lot of hot water doing it! It will rinse completely in all types of water! 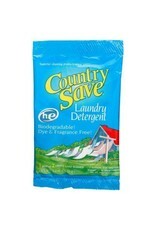 You may find that it is no longer necessary to add fabric softener to your wash with Country Save powdered detergent. When your clothes are washed consistently with Country Save they feel softer because there are no residues being built up in your clothes. When the fabric wears against other fabric rather than coarse residue deposited by the other detergent, two things happen: (1) your clothes last longer, and (2) they feel softer! We are Septic Tank Safe, don't test on animals or use animal by-products.